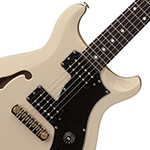 AC-245NAEB2 The PRS SE 245 is for players looking for a classically voiced single-cutaway at a great price. All your tones will be covered by the SE 245 Treble and Bass Humbuckers guided by two volume and two tone controls. Give our specialist a call for advice and the best price. AC-SETREMSTDBLK The PRS Mark Tremonti Standard has a powerful voice that is well suited to heavy rock rhythm playing and melodic, soaring leads. AC-SECU4LTS The PRS SE Custom 24 is the pinnacle of value in the realm of budget-friendly workhorse guitars. With a wide variety of tones, addictive playability, and road-worthy durability, professional players and aspiring players alike will feel right at home with this classic instrument in their hands. Give our specialist a call for advice and the best price. AC-S230THCU24SR The PRS S2 Custom 24 In Scarlet Red is beautiful to look at and has the tones to match! PRS are now regarded as one of the big names in guitar manufacturing around the world now and have now made it even easier for everyone to afford a USA built Paul Reed Smith guitar as the S2 range has been released. Fantastic value for money call our specialist for advice and the best price. AC-SEST4MF Designed around a finish offered by PRS in the late 80s, the PRS SE Standard 24 Multi-Foil (or Multi-Metal back in those days) may be a nod to the past, but it keeps its striking, modern feel even a few decades later. AC-S2STD24DOTSMT The PRS S2 Standard 24 Is a true workhorse of a guitar with its solid mahogany body it has the lush tones to match its beautiful styling. PRS are now regarded as one of the big names in guitar manufacturing around the world now and have now made it even easier for everyone to afford a USA built Paul Reed Smith guitar as the S2 range has been released. Fantastic value for money call our specialist for advice and the best price. AC-S2StudioMTSB The S2 Studio takes the Standard 22 platform into new sonic territory with a single/single/hum pickup configuration and updated switching system. AC-SEMHSNGB Limited to only 50 guitars in this finish for the UK only dont miss out on this stunning limited edition guitar. Once they are gone they are gone! AC-CE24VASB The fantastic and iconic CE24 Bolt-on PRS is back and better than ever! With a satin finished maple neck and full US construction these guitars are fantastic value for money! AC-CE24GB The fantastic and iconic CE24 Bolt-on PRS is back and better than ever! With a satin finished maple neck and full US construction these guitars are fantastic value for money! AC-SEMHHB The PRS SE Mark Holcomb is the top of the SE range with its fantastic custom shop Seymour Duncan pickups. Designed by Mark Holcomb and Paul Reed Smith based on the USA model this guitar screams both totally and value for money with the pickups alone retailing for hundreds of pounds! Give our guitar expert a call for more details. AC-S2SCMty_DOTS The S2 Standard are the perfect workhorse for any gigging musician. Built for the player who wants to get out get gigging and have a reliable guitar which sounds and feels quality without busting the bank. AC-SECM4TS The PRS SE Custom 24 is the pinnacle of value in the realm of budget-friendly workhorse guitars. With a wide variety of tones, addictive playability, and road-worthy durability, professional players and aspiring players alike will feel right at home with this classic instrument in their hands. Give our specialist a call for advice and the best price. 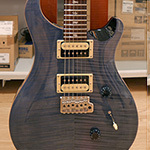 AC-SESTD24VC The PRS SE Standard 24 is for those who want PRS quality and feel at a great affordable price. PRS Guitars are fast becoming one of the biggest guitar brands in the world. The Standard 24 is Paul Reed Smiths more affordable version of the classic Custom 24 but made to fit a certain price bracket and is fantastic value phone our specialist for help and the best price. AC-CE24_RED The fantastic and iconic CE24 Bolt-on PRS is back and better than ever! With a satin finished maple neck and full US construction these guitars are fantastic value for money! AC-S2STARBIRDMTS The PRS S2 Starla is for that vintage/bright sound we all know and love! PRS are now regarded as one of the big names in guitar manufacturing around the world now and have now made it even easier for everyone to afford a USA built Paul Reed Smith guitar as the S2 range has been released. Fantastic value for money call our specialist for advice and the best price. AC-SECU4LFR The PRS SE Custom 24 is the pinnacle of value in the realm of budget-friendly workhorse guitars. With a wide variety of tones, addictive playability, and road-worthy durability, professional players and aspiring players alike will feel right at home with this classic instrument in their hands. Give our specialist a call for advice and the best price. AC-CM2SHNASA2 PRS make some of the most beautiful guitars in the world. From their Premium Private Stock and Core lines to the more focused S2 and SE models. This limited edition Swamp Ash model is no exception! AC-S2SCSHWBRF PRS are now regarded as one of the big names in guitar manufacturing around the world now and have now made it even easier for everyone to afford a USA built Paul Reed Smith guitar as the S2 range has been released. Fantastic value for money call our specialist for advice and the best price. AC-SETRCGB The PRS SE Tremonti needs no introduction if you are a fan of alter bridge or Mark himself youll already know all you need to! PRS Guitars are fast becoming one of the biggest guitar brands in the world. The Tremonti Custom offers fantastic tones especially for that alter bridge fan. Call our specialist for the best price. AC-S2STD24DOTSI PRS are now regarded as one of the big names in guitar manufacturing around the world now and have now made it even easier for everyone to afford a USA built Paul Reed Smith guitar as the S2 range has been released. Fantastic value for money call our specialist for advice and the best price. AC-S2STD24AQM The american mad S2 Standard 24 we have come to know and love, now available in this one off Aqua Marine Firemist custom colour. Only one available in the UK! AC-SEST4KC The Signature model for Jakko Jakszyk of King Crimson, As a limited edition for 2019 and in celebration of the 50th Anniversary of the legendary band King Crimson, PRS will be offering a maximum of 1,000 SE Schizoid guitars, based on the SE Standard 24 and adorned with the same classic artwork as Jakkos personal guitar. AC-SEPGAQ The beautiful new PRS SE Pauls Guitar in Aqua Blue is available to ORDER NOW! Finance Options Available, and part exchange welcome. AC-SEPGFI The stunning new PRS SE Pauls Guitar in Fire Red is available to ORDER NOW! Finance Options Available, and part exchange welcome. AC-SEZM2TG The PRS SE Zach Myers signature electric guitar is the result of a closely worked collaboration between the PRS team and Zach himself and the result is outstanding! Play one for yourself and find out. AC-MHAD01_AW The S2 Series are the perfect workhorse guitars for any gigging musician. Built for the player who wants to get out get gigging and have a reliable guitar which sounds and feels quality without busting the bank. AC-S2MIRAMTSRF Refurbished PRS S2 Mira model supplied direct from the manufacturer the guitar may have very slight marks or blemished but nothing which effects the tone or playability. Give us a call for anymore information or pictures. AC-SECTM24WBRF Top PRS quality at a great affordable price to fit everyone. The SE Custom is their top selling electric guitar and for good reason with tones to suit every style of music and a built in coil tap function the possibilities are endless. AC-SECM4TSRF Top PRS quality at a great affordable price to fit everyone. The SE Custom is their top selling electric guitar and for good reason with tones to suit every style of music and a built in coil tap function the possibilities are endless. AC-SETREMCTMGBRF Whether you are a Tremonti/Alter Bridge fan or not you cant deny how good this fantastic guitar sounds and feels, Suitable for a massive variety of sounds and styles. Refurbished direct from the manufacturer the guitar may have slight marks or blemishes but nothing which effects the tone or playability. Give us a call or pop for anymore information. AC-SESTD24TBLURF The High quality you know and love for PRS at at extremely affordable prce point. This is a direct refurbished model from the manufacturer it may have slight marks or blemished but nothing which effects tone or playability. Give us a call or pop in store for anymore information. AC-S2CTM24DCSRF The PRS S2 Custom 24 is the ultimate american workhorse guitar, built with players in mind it doesnt compromise on tone or playability. Refurbished directly from the manufacturer the guitar may have slight marks or blemishes but nothing to effect tone or playability. AC-V2PDT5_3N The PRS S2 Vela Satin is a vintage-inspired guitar with loads of personality and tonal textures. Continuing in the style of the Mira and Starla models, the Vela boasts an off set body shape that is at once elegant and edgy. 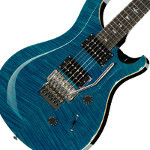 AC-S2STD24BIRDAW The PRS S2 Standard 24 is a true workhorse made to be gigged. PRS are now regarded as one of the big names in guitar manufacturing around the world now and have now made it even easier for everyone to afford a USA built Paul Reed Smith guitar as the S2 range has been released. Fantastic value for money call our specialist for advice and the best price. AC-S2CTM22SHTCS PRS are now regarded as one of the big names in guitar manufacturing around the world now and have now made it even easier for everyone to afford a USA built Paul Reed Smith guitar as the S2 range has been released. Fantastic value for money call our specialist for advice and the best price. AC-SECSSY PRS Guitars are fast becoming one of the biggest guitar brands in the world. Prefect for the warm tone Carlos Santana is know for the guitar is fantastic value at 549.00 Call our specialist for advice and the best price. AC-SE245TS For players looking for a classically voiced single-cutaway at a great price, the SE 245 is the answer. All your tones will be covered by the SE 245 Treble and Bass Humbuckers guided by two volume and two tone controls. Give our specialist a call for advice and the best price. AC-SECM4VS30 PRS Guitars are fast becoming one of the biggest guitar brands in the world. Paul Reed Smiths more affordable alternative the the Custom 24 this guitar is fantastic value and spec for the money call our specialist for advice and the best price. AC-SESTD24TB The PRS SE Standard 24 2017 is for those who want PRS quality and feel at a great affordable price. PRS Guitars are fast becoming one of the biggest guitar brands in the world. The Standard 24 is Paul Reed Smiths more affordable version of the classic Custom 24 but made to fit a certain price bracket and is fantastic value at only 449.00 phone our specialist for help and the best price. AC-SEPGAB The stunning new Paul Reed Smith PRS SE Pauls Guitar in Amber is available to ORDER NOW! Finance Options Available, and part exchange welcome. AC-SECU24LHTG The PRS SE Custom 24 is the pinnacle of value in the realm of budget-friendly workhorse guitars. With a wide variety of tones, addictive playability, and road-worthy durability, professional players and aspiring players alike will feel right at home with this classic instrument in their hands. Give our specialist a call for advice and the best price. AC-SECTM24WB The PRS SE Custom 24 is the pinnacle of value in the realm of budget-friendly workhorse guitars. With a wide variety of tones, addictive playability, and road-worthy durability, professional players and aspiring players alike will feel right at home with this classic instrument in their hands. Give our specialist a call for advice and the best price. AC-S2STDSCDOTBL The PRS S2 Singlecut Standard Black With Dots is a simple design with outstanding quality! PRS are now regarded as one of the big names in guitar manufacturing around the world now and have now made it even easier for everyone to afford a USA built Paul Reed Smith guitar as the S2 range has been released. Fantastic value for money call our specialist for advice and the best price. AC-S2CTM24AS The PRS S2 Custom 24 In violin amber sunburst not only looks fantastic but the tone is clear and precise! PRS are now regarded as one of the big names in guitar manufacturing around the world now and have now made it even easier for everyone to afford a USA built Paul Reed Smith guitar as the S2 range has been released. Give our specialist a call for advice and the best price. 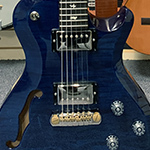 AC-SECM4SAFL The PRS SE Custom 24 Floyd is the pinnacle of value in the realm of budget-friendly workhorse guitars as well as being fitted with a Floyd Rose Tremolo system. PRS Guitars are fast becoming one of the biggest guitar brands in the world. Paul Reed Smiths more affordable alternative the the Custom 24 fitted with a floyd rose trem this guitar is fantastic value and spec for the money call our specialist for advice and the best price. AC-SESTD245TSB The PRS SE Standard 245 is for those who want PRS quality and feel at a great affordable price. 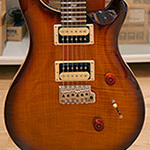 PRS Guitars are fast becoming one of the biggest guitar brands in the world. Paul Reed Smiths more affordable alternative the the USA Singlecut this guitar is fantastic value and spec for the money call our specialist for advice and the best price. AC-SECTM24BC The SE Custom 24 Black Cherry is the pinnacle of value in the realm of budget-friendly workhorse guitars. With a wide variety of tones, addictive playability, and road-worthy durability, professional players and aspiring players alike will feel right at home with this classic instrument in their hands. Give our specialist a call for advice and the best price. AC-S2SCEY The PRS S2 Singlecut Elephant Grey not only looks fantastic but sounds smooth and clear. PRS are now regarded as one of the big names in guitar manufacturing around the world now and have now made it even easier for everyone to afford a USA built Paul Reed Smith guitar as the S2 range has been released. Fantastic value for money call our specialist for advice and the best price. AC-S2CU22EY PRS are now regarded as one of the big names in guitar manufacturing around the world now and have now made it even easier for everyone to afford a USA built Paul Reed Smith guitar as the S2 range has been released. Fantastic value for money call our specialist for advice and the best price. AC-SE277SHVS Revitalize your guitar playing and find a unique spot in the mix with the PRS SE 277 Semi-Hollow Soapbar. Give our guitar expert Callam a call for more information and the best price. AC-S2CU22BLK The PRS S2 Custom 22 Looks sleek with its Black Gloss finish and sounds as good as it looks! PRS are now regarded as one of the big names in guitar manufacturing around the world now and have now made it even easier for everyone to afford a USA built Paul Reed Smith guitar as the S2 range has been released. Fantastic value for money call our specialist for advice and the best price. AC-S2CU22AS The PRS S2 CUSTOM 22 Violin Amber Sunburst has a beautiful maple cap only made more stunning by the beautiful sunburst finish. PRS are now regarded as one of the big names in guitar manufacturing around the world now and have now made it even easier for everyone to afford a USA built Paul Reed Smith guitar as the S2 range has been released. Fantastic value for money call our specialist for advice and the best price. AC-S2SCSHDCSB PRS are now regarded as one of the big names in guitar manufacturing around the world now and have now made it even easier for everyone to afford a USA built Paul Reed Smith guitar as the S2 range has been released. Fantastic value for money call our specialist for advice and the best price. AC-SE277SHGB Revitalize your guitar playing and find a unique spot in the mix with the PRS SE 277 Semi-Hollow Soapbar. Give our guitar expert Callam a call for more information and the best price. PRS Guitars had a humble beginning, built up from one man's ambition. After making his first guitar as a challenge to his college music professor, musician Paul Reed Smith developed his unique brand of PRS guitars with decades of testing, rethinking and reinventing. These impressive standards of excellence have been maintained, as the company has grown into a major industry presence, through strict quality control at every stage of the process and the pride and knowledge of the craftspeople in the workshops. PRS guitar production relies on a carefully considered combination of automated processes and hand crafting in order to produce instruments of the highest quality.